Modern townhomes are the best way to bring families into a neighbourhood, and you can be sure this development will be bringing a lot of business professionals with family aspirations into this central region. Bartley Towns is a contemporary townhome development coming to North York. 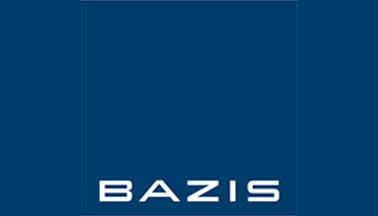 The project from Bazis Inc., promises to bring modern, luxury living to the thriving midtown neighbourhood. The development is slated to stand at 104 Bartley Drive, but will ultimately span the addresses of 104 to 110 Bartley Drive at Victoria Park and Eglinton. With stunning minimalist exteriors and a location steps away from the DVP and upcoming Eglinton LRT, this is a development bound to attract a variety of residents. Investors will want to keep an eye on this centrally located site that is sure to attract young families looking to establish roots in a thriving urban area outside the bustling city. This modern townhome development boasts a sophisticated exterior complete with a mix of materials including brick, stone and stucco. The colour blocking of grey and brown materials ultimately make this a modish addition to the thriving area. The community is comprised of 14 townhome blocks, each standing 4 storeys. 10 of these blocks will hold freehold units, while the remaining four will be condo units facing towards a private street that has been proposed for the project. The project will total 84 units, with 67 being freehold and 17 being condo units. The site will ultimately boast a gross floor area of 127,503 square feet. The interiors in the homes will be as luxe as their exteriors, with expansive kitchens, large outdoor terraces and high end finishes. The units will be available in a range of 3 to 5 bedroom layouts. All suites will have attached rear garages, with the community providing four spaces for visitors. The development has proposed a stellar group of homes that are to be unified by the addition of a new public street. This public street is to connect the community to the existing Bartley Park that will help provide a feeling of harmony and togetherness. Placed in midtown, this development provides residents with everything the GTA has to offer. After all, This development offers an incredibly central site in the GTA boasting access to the downtown core as well as uptown job centres. This is the ideal location for business professionals looking to put down roots to start a family, as the site will be nearby the upcoming Eglinton LRT as well as the DVP. Those who use transit to get into the city or drive will both find it easy to reach their daily destination. The development has a walk score of 74 and transit score of 68 that only promises to increase with the addition of the LRT. This particularly provides the opportunities for professionals to travel into the bustling city for work, and return home to the charismatic residential area in time for dinner and time with the kids. Families will enjoy having nearby local amenities like the O’connor Community Centre pool, and attractions like the Science Centre, and Aga Khan Museum. The neighbourhood is a city in its own right, and these entertainment centres just prove this to be true. The region is substantial -- and continues to grow. Between the years of 2011 and 2016 it saw a 7.5% increase of population, with 1,109,909 people accounted for in 2016. With the largest portion of the population between the ages of 45-49, you can be sure this is a place where many have already created a flourishing family unit. After all, there are plenty of elementary and secondary schools nearby and access to the city means students can save money by living at home and commuting to the city’s major campuses. North York is also home to some of Toronto’s biggest shopping malls. The site will be nearby malls like Yorkdale and Bayview Village, both roughly a 20 minute drive away. I5 minutes away is Fairview Mall, which boasts 879,370 square feet and is home to 159 retail stores. The site is truly a short drive to everything from subway stations to shopping and dining. Restaurant options are plentiful, with access to Lawrence and Eglinton’s strip of food options. This is a charming, contemporary development that will encourage many family to establish roots in this bourgoing midtown neighbourhood that is quite expansive to begin with and shows no signs of slowing down. With the upcoming LRT more family-centric developments like this are destined for the area, making this one the opportune investment choice. Basic Inc is a developer who has shaped the city’s landscape with its ambitious projects like Emerald Park in North York. They work with the goal to make Toronto a Global City, evident in its developments like its upcoming 1 Yorkville project that will make a significant contribution to Toronto's skyline. None of their buildings are ever conventional, as they opt to create bold structures that are unique. They are a jack of all trades, building mixed use buildings and stunning residences. Read more about this developer.